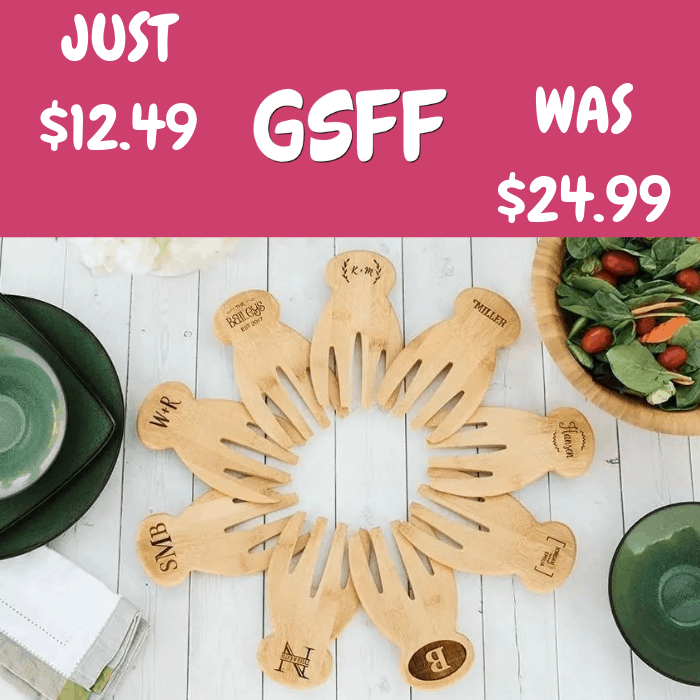 Salad Wooden Hands Just $12.49! Down From $25! Shipped! You are here: Home / Great Deals / Salad Wooden Hands Just $12.49! Down From $25! Shipped! Deal expires on January 11! Jane is currently offering these Personalized Salad Wooden Hands for just $12.49 down from $24.99 PLUS FREE shipping! These personalized salad hands will make tossing a salad easy and fun! They will engrave your chosen design on high-quality bamboo salad mixers and their beautiful designs will allow you to use and display them proudly. The “thumb” on the back of the salad hands allows you to hook them on the edge of the bowl to keep them from slipping into the salad. They are the perfect gift for weddings, housewarmings, birthday, neighbors, and more. Make sure to get a set for yourself, as well! Hurry before price goes up!